Wow Set will thrill novice and expert builders with 16 magnetic shapes and additional activities. Compatible with all sets. Includes large 10.5" x 7" WOW Cards with easy to follow, fully illustrated instructions to assist in building 20 mini-cars, 8 planar cards, and 11 play patterns. 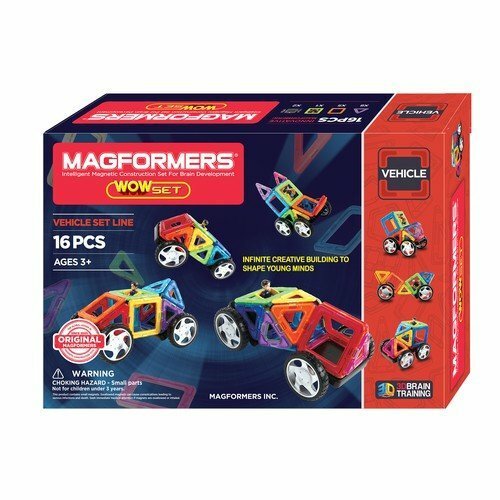 If you have any questions about this product by Magformers, contact us by completing and submitting the form below. If you are looking for a specif part number, please include it with your message.